One of the great ways of taking a well-earned short break from a hectic day-to day is to book B&B overnight and combine it with a scenic drive out with coffee stops and a nice lunch enroute. 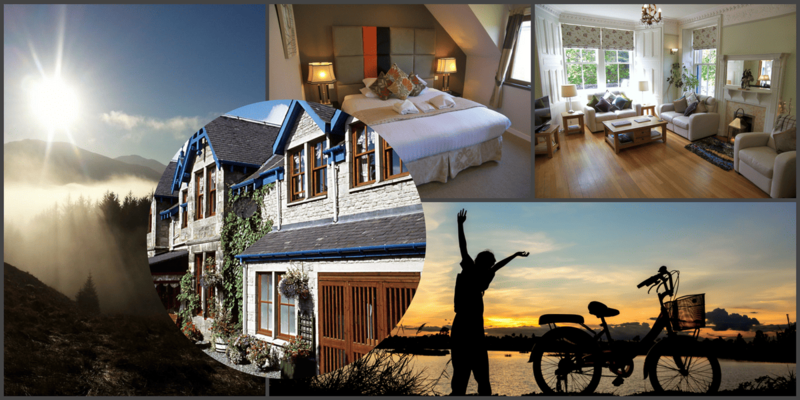 Once your B&B accommodation Pitlochry is booked, it’s a great idea to plan out your little sight-seeing trip so you can squeeze the most from your day. At Rosemount Pitlochry, we love to help our guests with ideas for such trips out and about. 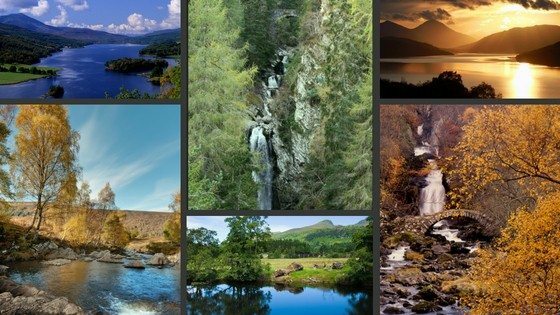 One of our favourites is a circular tour by car taking in Queens View, Tenandry, Blair Atholl, Bruar Falls, Glen Lyon, Loch Tay, Aberfeldy. This trip could be separated into two or three separate sections to allow more time for visits to Blair Castle, the House of Bruar, Crannog Centre and to take any of the many walks enroute. Once settled in to your B&B accommodation Pitlochry , we recommend giving at least 4 hours for your tour. Remember that the Summer evenings remain very light, which adds so much more potemtial to the day. Because of the recommendation to balance sight-seeing with available Coffee stops and Lunch spots, we suggest starting the trip by visiting Queen’s View (although this is quite stunning in the evening as the long shadows add further depth to the amazing canvas). This panoramic vista is incredible in all weathers and will give plenty of material for photographs, so don’t forget the camera! Doubling back along the road thus travelled, you’ll find a left hand turn towards Tenandry, just before the Garry Bridge. This tiny road winds upwards through rustic moss-carpeted and stonewalled woodland scenery then suddenly the vista explodes open with a birds eye view of the Vale of Atholl. It’s possible to park up and walk to the Craig Fonvuick Viewpoint, which has even greater elevation and further reach view-wise. To get to this point, you need to turn left at the bottom of the Tenandry road stretch, rather than right for Killiecrankie, follow the road for a short stretch then walk uphill at the signposted point. The views over Glen Garry and Blair Castle are certainly worth it, though this would make moving on to Glen Lyon a better choice for another day, possibly. Deciding where to visit and whether to pass quickly through, or to stop and take a longer look , can be a bit of a test, especially on a shorter break. The drive from Pitlochry to the house of Bruar, along the country road which passes through Killiecrankie and Blair Atholl, can be a pleasant addition to the tour above. However, if time allows, the Visitor centre at Killiecrankie is well worth a visit. If the walk to Soldiers Leap is of interest, please note the number of steps involved! Blair Atholl offers at least a day of interest with the magnificent stately home at Blair Castle, fabulous walks through its extensive, well-kept grounds and into Glen Tilt, beyond. It is then possible to walk or drive to the House of Bruar. Here, you’ll find an idyllic gorge-side walk taking in two impressive waterfalls. The shopping and eating experiences to be found at the House of Bruar are second to none.